The British Rapha Condor Sharp team took the honours in the first stage of the Irish Ras yesterday, thanks to a well-timed sprint from Dan Craven. Craven out-sprinted a group of seven riders at the end of the 149km stage from Dunboyne to Dundalk, the second of Craven’s attacks within the final two kilometres. Britain’s Mark McNally, riding for the Irish/Belgian An Post team, was second with Masakki Kikuchi (Japan Nippo) in third. Craven’s performance gave his Rapha team the first leader’s yellow jersey of the race, while last year’s overall winner, Simon Richardson, finished safely in the bunch 1-46 in arrears. Today’s (Monday) second stage from Dundalk to Carrick-on-Shannon was neutralised following an accident between riders and a car; the details are still unclear, but there are understood not to be any life-threatening injuries. Action resumes tomorrow with a 171km test from Carrick-on-Shannon to Oughterard. Britain’s Dan McLay – the newly-crowned Junior National Champion – was well positioned at the lead of the junior Dutch stage race, the Driedaagse van Axel, after three stages but lost it on the last day. McLay, who had won the first stage to Axel, had an advantage of 13 seconds over Dutchman Danny van Poppel after three of the four stages. 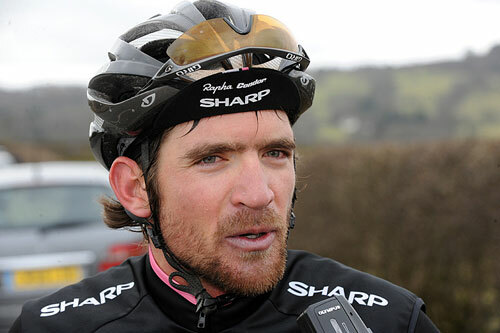 It was on the final stage however, that McLay lost over a minute to van Poppel and conceded his lead on the race. McLay ended the race as the top Briton nevertheless in sixth, 1-30 down on van Poppel. Dani King, winner of the recent Hillingdon GP, took her first win in Belgium at the weekend. Four riders stayed clear from the bunch for the large part of the 94km stage, only being caught on the last lap. “I thought it would stay away as they’d got nearly two minutes on us,” said King of the race. “So I attacked with two laps to go to try to get in the middle, but I was chased down. It was then all about trying to get the break back and set myself up for the sprint. “When I kicked I felt great and just kept going. I think I won by two bike lengths in the end, so I’m really happy,” King said of what is her fourth win in the month of May. ”I’m working hard with my team to grow as a rider in all areas and I have a good structure and plan for the season. I’m sticking to it, and it’s working”. In a bid to improve awareness to the vulnerability that cyclists face on the roads, Lee Wardle has set up a ‘Give Cyclists Space’ campaign group on Facebook. In the space of a couple of weeks, the group has attracted more than 1000 members. “The purpose of the group is to raise awareness of cyclist safety and start a nationwide campaign. If you overtake a car too close you clip a wing mirror. If you overtake a cyclist too close you kill them. Simple as that,” said Wardle.